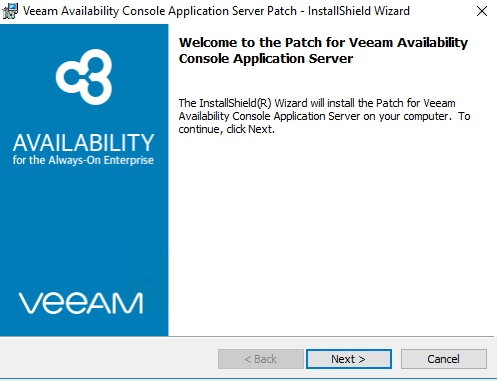 Veeam Availability Console 2.0 Update 1 Important Patch Release - VIRTUALIZATION IS LIFE! 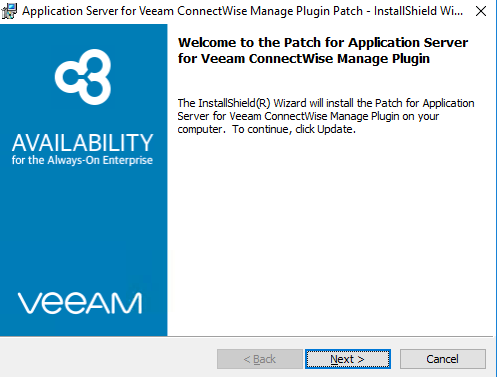 Earlier this month a patch was released for Veeam Availability Console 2.0 Update 1. Contained in the list of fixes is an important note about those that manage Windows Agents through VAC that are sending backups via backup copy jobs. In short there was an issues with the reporting and billing leading to some incorrect value for the tenant quota usage. There are also a number of other resolved issues including some monitoring and alarm fixes as well as for those using the ConnectWise Plugin. The patch is advised to be deployed to all VCSPs running VAC especially those with tenants sending backup copy jobs as mentioned above. To apply the patch, head to the VeeamKB here and follow the instructions. You need to have at least VAC 2.0 Update 1 Build 2.0.2.1750 as shown below. From there, make sure you have a backup of the database, close down the Web UI and execute both MSI packages as administrator on the server. The first one updates the VAC server. The second one updates the ConnectWise Manage Plugin. Once completed the patches are applied and VAC 2.0 Update 1 is up to date running on version number Server Version 2.0.2.1807. Note that updated Windows for Agent Builds have been pushed out and can be upgraded as per my post a few months back.